A visit to the Beaumaris Farmers Market in is an outstanding way to spend a Saturday. Located in the seaside suburb of Beaumaris in Melbourne’s South East, the Farmers Market offers a wondrous collection of fresh food and other goods to whet your appetite and stock up your pantry. Getting here is a treat in and of itself. Held the second Saturday of every month, hopping onto Beach Rd and traveling along to Beaumaris on a sunny Saturday morning will give you chance to encounter an array of folks out running, jogging, cycling – and even a windsurfer or two on the bay – that all up combines to make a beautiful trip to get you in the mood on your weekend. Despite all the busyness of Beach Rd, it somehow remains smooth and free flowing, and accordingly you’ll soon find yourself making the turn off on Balcombe Rd to arrive at the market. While a market located in the surrounds of a high school campus is neither uncommon nor revolutionary, the sizeable grounds of Beaumaris High School – something of a relic from the days when Beaumaris was a sleepy seaside suburb – means amidst the gum trees and the smell of sea air you’ll very much feel yourself transported away from the busyness of Melbourne City, and feel like you’ve driven into to a coastal town or rural city for the morning. With so much on offer amidst the market you’ll surely feel spoiled for choice – and prone to buy half the market if you’re hungry! – so do your wallet and others a favour by beginning your outing with a coffee and bacon and egg roll on offer. Once you’ve filled up you can then begin to browse and buy among the broad offerings across the many stalls. From speciality breads and organic vegetables, to pastas and meats. Particularly enticing is the stalls that can be devoted to one item exclusively – sure you’ve shopped for vegetables before – but if you love your avocados the opportunity to speak with a grower and fellow avo enthusiast means you’ve chance to seek out and buy ones particular to your taste and preference. Alongside the food and other yummy goods on offer, the market also offers plants, a petting zoo – even a dedicated knife sharpener for those keen to knives are up to scratch for the Saturday Roast. And all this offered amidst a relaxed and friendly bunch of locals and visitors in one of the great Saturday hotspots for Melbourne produce and food. 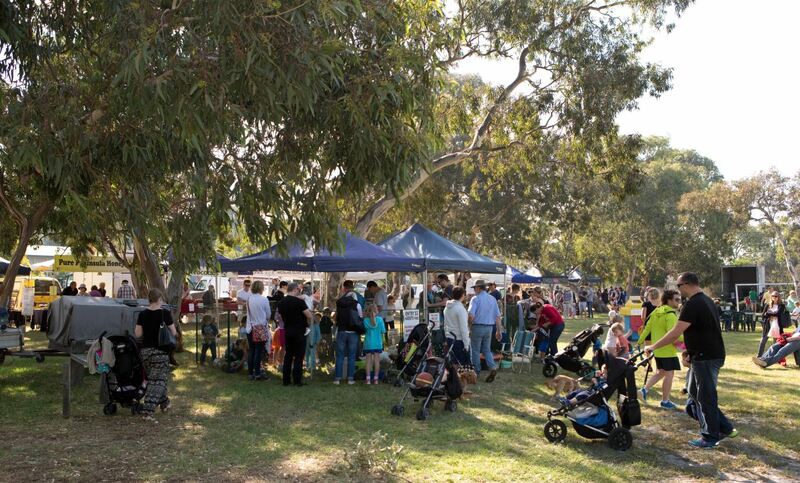 The Beaumaris Farmers Market, a wonderful way to spend a Saturday in South East Melbourne. Hi All, the Beaumaris Farmer’s Market has proven very popular with the community, but unfortunately may be forced to shut down once the school building work starts, later this year, if the Dept of Education decide to close all access to the site. There is plenty of room to allow the market to continue and am hoping to be able to demonstrate how much the community want this to continue. If you agree please can you take a few seconds to sign this on line petition. Thank You! Ed Kennedy is an Australian journalist who has written widely on cities, entertainment and local attractions. Alongside his writing here, Ed can be found at Edkennedy.co and on twitter @Edkennedy01.